SERVPRO of Northeast Greenville County is available 24 hours a day for water emergencies, large or small. When you are dealing with water damage, immediate action is crucial. A delay of just a few hours can greatly increase the severity of the water damage. We understand that when you call us, you may be feeling confused, stressed, and vulnerable. You need an expert to guide you through this crisis. SERVPRO of Northeast Greenville County has the specific water damage training and experience to help you through this tough time. We specialize in water damage restoration—in fact, it's the cornerstone of our business. SERVPRO of Norhteast Greenville County specializes in the cleanup and restoration of residential and commercial property after a fire, smoke or water damage event. Our staff is highly trained in property damage restoration. From initial and ongoing training at SERVPRO’s corporate training facility to regular IICRC-industry certification, rest assured our staff is equipped with the knowledge to restore your property. In the realm of water and mold, what makes someone an expert? I get asked that question a lot. 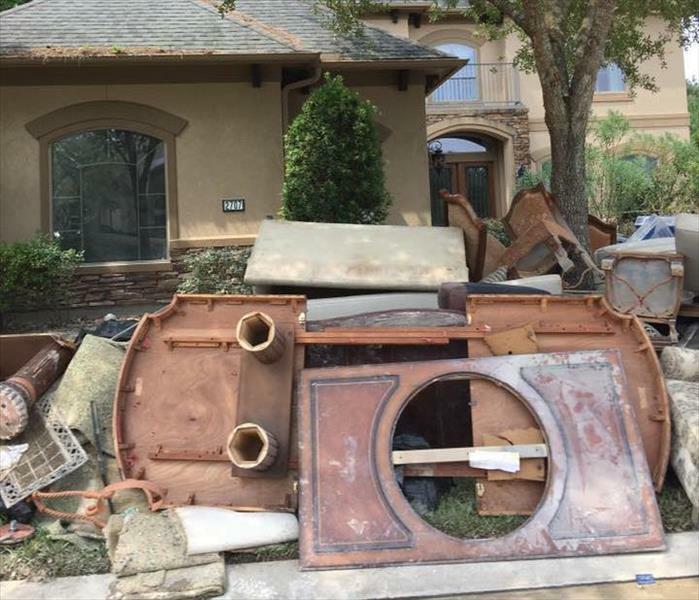 When I go out behind another mitigation company, I can tell by the questions a homeowner ask, whether they have talked to someone that is knowledgeable or just someone looking to turn a dollar. To often in a field of work that is unregulated, we have people or even companies that claim to be the expert, but have never taken one course on the subject. 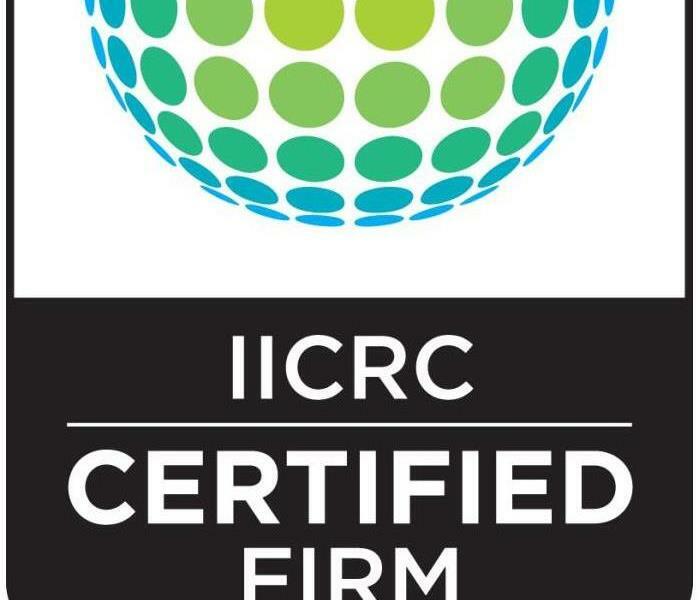 One of the first questions that a homeowner should ask is, are you a IICRC certified firm and what certifications does the person onsite have. IICRC sets the standards for both water mitigation and mold remediation. They administer the training and produce the protocols that we in this industry follow. So why is this so important? If your loss is a self pay loss, you could be throwing thousands of dollars out the window to someone that claims to be an expert. Give SERVPRO of Northeast Greenville County a call when looking for a certified firm. As a commercial client you always want to make sure you have emergency contacts close by in case anything unexpected happens. We know personally how not being prepared can add additional stress to ones operation! 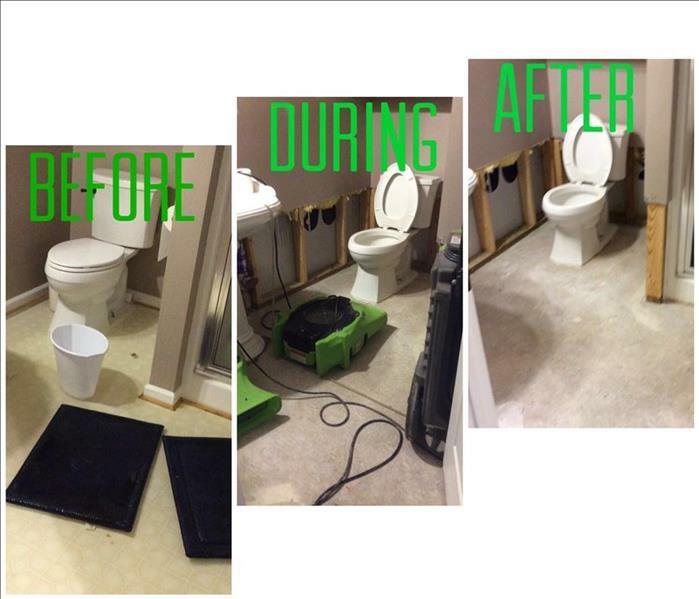 SERVPRO of Northeast Greenville County realizes that you might not think about the unexpected until it happens. This is why SERVPRO has our Emergency Ready Program available to you. Our ERP, Emergency Ready Profile is the best way to reduce business interruption following a disaster, plan for it now. 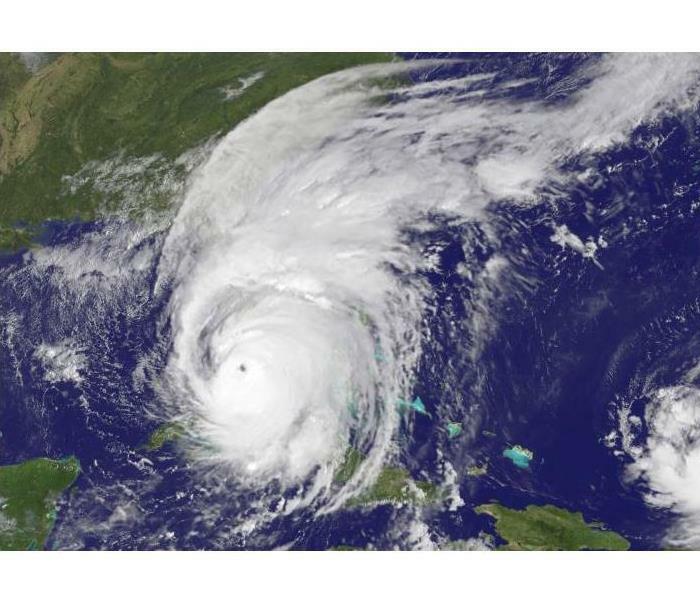 Statistically speaking, as many as 50% of all businesses never recover following a disaster. Of the businesses that survive, the overwhelming majority of them had a preparedness plan in place. Pre-planning can serve as an insurance policy aimed at peace of mind. By developing a SERVPRO® Emergency READY Profile for your business, you minimize business interruption by having an immediate plan of action. Knowing what to do and what to expect in advance is the key to timely mitigation and can help minimize how water and fire damage can affect your business. The SERVPRO Emergency READY Profile Advantage is a no cost assessment of your facility. – there is no need to allocate funds, giving you a great value at no cost. A concise Profile Document that contains only the critical information needed in the event of an emergency. – It will only take a little time to complete and will not take you away from current projects. But it will save a lot of time if ever needed. A guide to help you get back into your building following a disaster. – This can help minimize the amount of time your business is inactive by having an immediate plan of action. This Establishes your local SERVPRO® Franchise Professional as your disaster mitigation and restoration provider. – You have a provider that is recognized as an industry leader and close by. Identification of the line of command for authorizing work to begin. – This saves time so we can begin the work of mitigating the damage which can save you time and money. Provides facility details such as shut-off valve locations, priority areas and priority contact information. – Having a quick reference of what to do, how to do it and who to call provides solutions in advance of an emergency so that during the emergency you are “Ready for whatever happens.” Give us a call at SERVPRO of Northeast Greenville County today and set up your ERP! Remove as much exess water as possible by mopping and blotting. Severe weather is unpredictable and SERVPRO of Northeast Greenville County wants you to be safe no matter the season! Below are some severe weather readiness tips to help guide you, no matter what type of disaster you may encounter. So many of you know that SERVPRO is a nationally recognized and trusted brand in the field of water and fire damage. It clear to me now that we are a leader in Storm Disaster work as well. 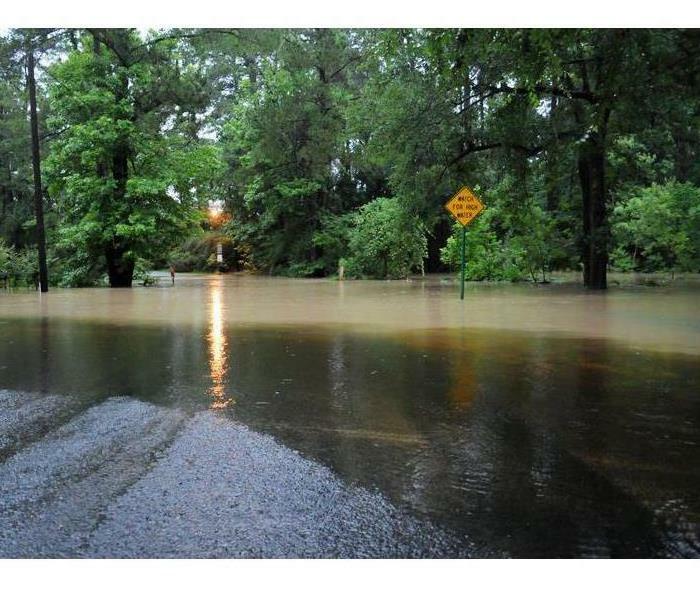 SERVPRO of North East Greenville County was recently called by a local client to assist with his mom and dads flooded home in Humble, TX. We were hesitant at the time to pack up our fans, dehumidifiers and people and make the 21 hour drive. After several conversation's with the team we decided that now was as good as any to make a difference for people. We traveled with a crew of 12, took 3 vans, a motor home as well as two generators and 3 trailers filled with equipment. As we pulled into neighborhoods the feeling of purpose set in. People needed us, but we needed them too. During the day to day work that SERVPRO employees experience it is easy to get lost in the routine. Storm was a reminder of why we do this work. It was a reminder of why SERVPRO cares. For our franchise this was a much needed sense of worth. SERVPRO of North East Greenville County was and is happy to be a part of the #houstonstrong community. With Hurricane season upon us its always important to be prepared for the "when it happens" not the "what if". It is inevitable that if you live along the cost or within a few hundred miles of it you will ultimately meet one of natures most forceful powers. With thousands of articles written every year in regards to hurricanes what new information can we learn? SERVPRO of NE Greenville County has learned many things while traveling the country and providing clean-up services from hurricanes Katrina, Sandy to massive flooding in Louisiana and the South and North Carolina coastal regions. What we have learned is simple. Number one is people wait to late to vacate their residences and property. Number two those that stay typically do not have enough water on hand to make it but a few days. Number three individuals do not take into account just how long they may be without power, water or any other necessity that they may need to live. Storms are always devastating in one way or another, but they do not have to be compounded by the will to wait it out. The only tip that matters in the world of a hurricane is to pack up and hit the road. This ensures you and the civilian workers safe passage so that you may be able to restore your place to "Like it never even happened." condition. SERVPRO of NE Greenville is always here to help. SERVPRO of NE Greenville County is much more than a restoration company. We are a repair company too. Did you know that many insurance carriers prefer having one company do it all? We have been providing repair services for over 5 years and have made many projects much easier than they would have been. 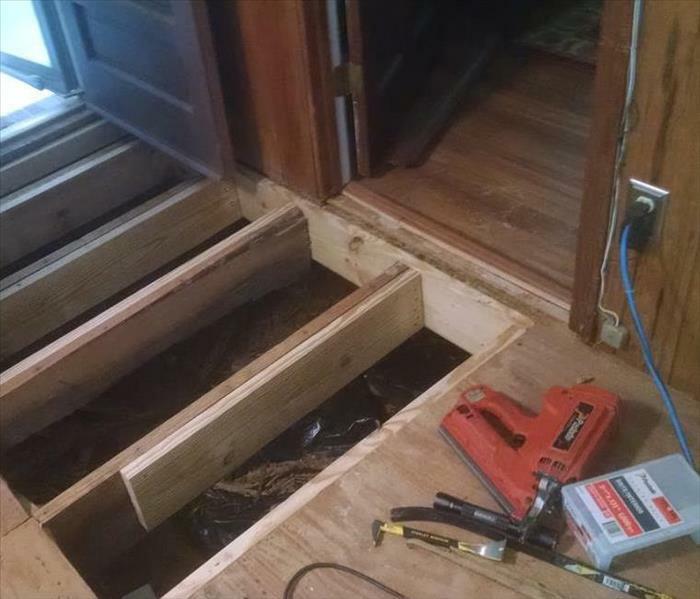 We recently restored several old floor joists for a gentleman who had a water damage. When we removed the wet flooring we found termite damage that had affected the structure. Its always nice when as client asks if we can "do that". When the answer is yes its always sweet. Our franchise has completed repair projects in excess of $500,000.00. There truly is not a job to big or small that we are not capable of performing. SERVPRO is much more than a Restoration company we are a Repair and Cleaning Company too. 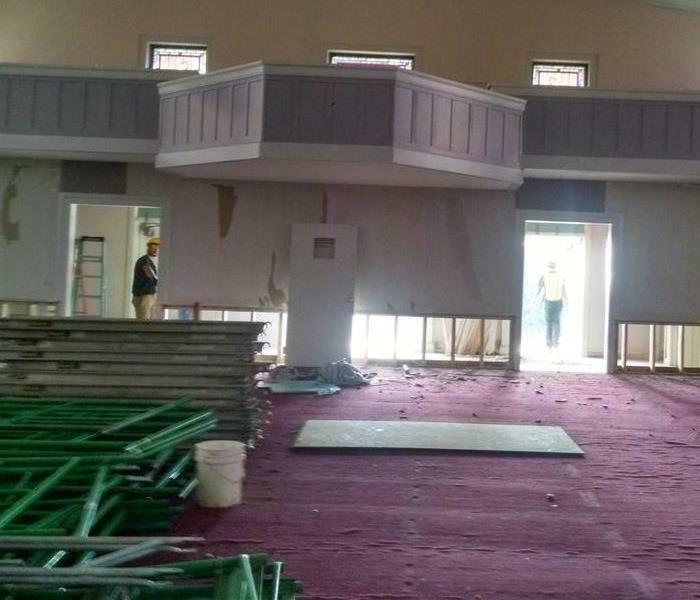 Our goal is to leave your job site "Like it never even happened." Did you know that there were 2.9 million workplace accidents that occurred last year alone? According to the U.S. Bureau of Labor and Statistics this amounts to 3 injuries per 100 workers? SERVPRO is constantly working to ensure that "Slips, Trips and Falls" are limited. We are well aware that 38% of all on the job deaths occur from falls. Another 8% from Electrocution. Why is this important for SERVPRO to address? SERVPRO is the leading provider of restoration services nationwide. With over 1,700 franchisees its important to maintain a record of safety throughout the system. 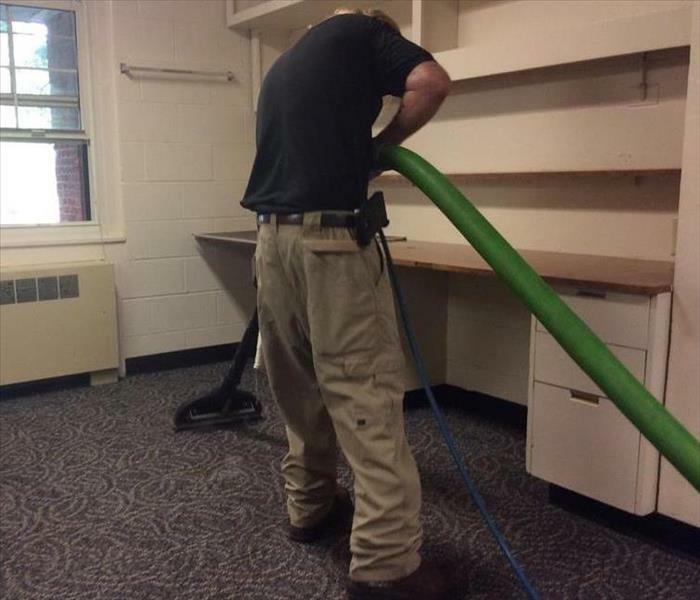 SERVPRO works with some of the largest equipment out there while performing its restoration services for both commercial and residential clients. We follow all OSHA and Government regulations to make sure that we are providing a safe working environment for our people while providing our clients with a safe living environment, "Like it never even happened." 10/18/2017 - Are YOU prepared for Severe Weather?